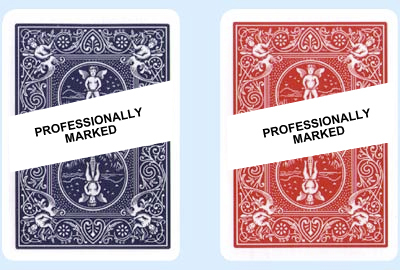 These Professionally Marked Bicycle Decks are marked two ways, For suit and for card number. Available in Red and Blue. These marked decks are Sold For Entertainment Use Only.